U.S. Sen. Thom Tillis (R-NC) held a telephone town hall Tuesday for residents in Wilson, Wayne and Lenoir counties, taking submitted questions and live inquiries from constituents in Eastern North Carolina. 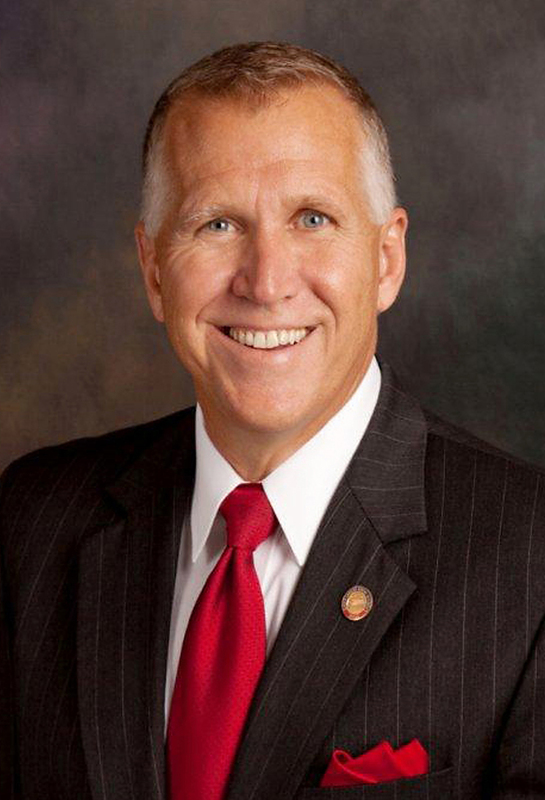 Tillis, former N.C. Speaker of the House, stressed the need for Republicans to wield their Congressional supermajority with a look to bipartisanship, something he said Democrats failed to do when they held majorities in the House and Senate. I never meant to hate Cam Newton. I was born in Eastern North Carolina, which means I wasn’t born in the heart of ACC country: I was born in Pirate Territory. I explained to a Kinston tourist that local infatuation with piracy had more to do with a black-bearded man named Edward Teach than East Carolina University, but deep down I knew it was all bluster. The ACC Men’s Basketball Tournament (which is not canon if it’s not held in Greensboro) is broadcast in nearly every classroom in the state of North Carolina, but when you talk professional sports, you’ll see a schism in this state, not concerning allegiance, but degree of allegiance. The Charlotte Hornets might as well have been in Tennessee when I was growing up watching from Goldsboro (Don’t forget this is when cable was 36 channels) and the most connection I ever felt to the team was through Mugsy Bogues in Space Jam. I “rooted” for the Hornets, but Charlotte still felt a world away. The Department of Veteran Affairs Office of the Inspector General has released reports from 49 investigations into whether patient appointment wait times were being manipulated throughout the VA Health Care System. Sen. Ted Cruz (R-TX) talks to reporters ahead of a rally near Raleigh, North Carolina on March 8, 2016. Cruz is seeking the Republican nomination for president. The release of the reports has led to additional pressure from Sens. Ted Cruz and John Cornyn of Texas, who together passed an amendment last year requiring VA Secretary Robert McDonald to report to Congress on any corrective measures and share a timeline for remedying the problems, which surfaced first in Phoenix, Arizona in April 2014. “Veterans in San Antonio deserve better than long waits and barriers to care after selflessly putting their lives on the line to serve this nation,” Sen. Cornyn said in a statement last November. Cruz, Cornyn and Texas Gov. Greg Abbott authored a joint letter to McDonald last week asking for an update on the department’s progress in the wake of the reports. “We remain troubled that the VA continues to fail to provide timely health care to our nation’s veterans, despite receiving enhanced authorities and funding from Congress to hire new employees and address additional problems facing the VA,” the letter reads. There were 12 investigations into Texas facilities from Dallas to El Paso, all of which can be accessed online through the VA IG website. “These ongoing scheduling problems clearly evidence failures of leadership at senior levels of these Health Care Systems in Texas and, more broadly, within the Veterans Health Administration,” the letter continues. The investigations were based on complaints filed by employees and former employees. One such investigation into Audie L. Murphy VA Hospital in San Antonio found that schedulers based patient’s desired dates on clinic availability to manipulate the system into recording shorter wait times for care. While investigators at the Harlingen VA facility found no evidence that employees had been threatened with termination for not following the schedule manipulation policy — as one complainant claimed — the report did note a culture of fear that contributed toward the manipulation of wait times. “There was evidence that the employees felt pressure from the TVCB Health Care System management official, which led to the manipulating of VistA in order to keep scheduling numbers within standard,” Quentin Aucoin wrote in his report. Larry Smith, a U.S. Army veteran living in South Texas, said in 2014 that three veterans reportedly died while waiting for treatment at the Harlingen clinic. At least 40 veterans in Phoenix were died while enduring artificial wait times. FOLLOW THE GUARDIAN for the most up-to-date 8-bit coverage of the U.S. Presidential Primaries. The Republican presidential primary blew through Texas last week, where Sen. Ted Cruz (R-TX) got a much-needed win in his home state. The freshman senator received an endorsement from Gov. Greg Abbott one week before the Texas primary and went on to win all but five of the state’s 254 counties, earning half a million votes more than runner-up Donald Trump, who has suggested he’ll build a $12 billion wall along the state’s southern border. Supporters in Myrtle Beach, S.C. cheered Donald Trump’s plan to build his ever-growing border wall, but Trump won just five counties in Texas, the only border state to have its primary so far. The rebuff from the Lone Star State, while not unexpected because of Cruz’s popularity there, served to show that voters in a state with a third of the Mexican border running alongside it don’t want to see a wall running along it. Abbott, still one of Cruz’s biggest endorsements as the March 15 primaries draw near, last year signed into law a first-of-its-kind $800,000 border security package and has made border relations a touchstone of his administration, even naming Mexican native Carlos Cascos as his Secretary of State. Abbott’s election came months after the Rio Grande Valley saw the summer arrival of some 50,000 refugees, mostly women and children escaping violence in Guatemala, El Salvador and Honduras. The crisis reached such fever pitch that in summer 2014 the U.S. House Committee on Homeland Security scheduled a field hearing in McAllen, Texas; the city where each day refugees were turning up. Throughout testimony from then Gov. Rick Perry and state and federal officials, there was never discussion about continuing the Southern Fencing Strategy, the national plan to wall off the border from the Pacific Ocean to the Gulf of Mexico. Besides the cost of the fence and its inability to deter illegal crossings — there is testimony that it saves Border Patrol agents just 15 seconds — the fence has disrupted migratory patterns for a plethora of native wildlife and in some cases cut off citizens from their property. The Texas Department of Public Safety “border surge” concentrated troopers in an area already bound on the north and south by U.S. Border Patrol checkpoints. Perry sent the National Guard, militarizing further a region already bound on the north and south by border checkpoints. The deployment was viewed more as a political stunt after Perry slinked toward another failed White House run, but the border continued to stay in the news long after hope for the Gang of Eight bill had faded. When Abbott took office, he asked Washington for 250 additional U.S. Border Patrol agents to handle the influx of immigrants. When it didn’t happen, he sent 250 Texas Department of Public Safety troopers into Deep South Texas to support federal agents along the state’s border. Donald Trump signs autographs after a rally in Myrtle Beach, S.C.
MYRTLE BEACH, S.C. — Speaking a day before he won the South Carolina primary, Donald Trump began listing off a number of prized states typically considered out of contention for Republican nominees. 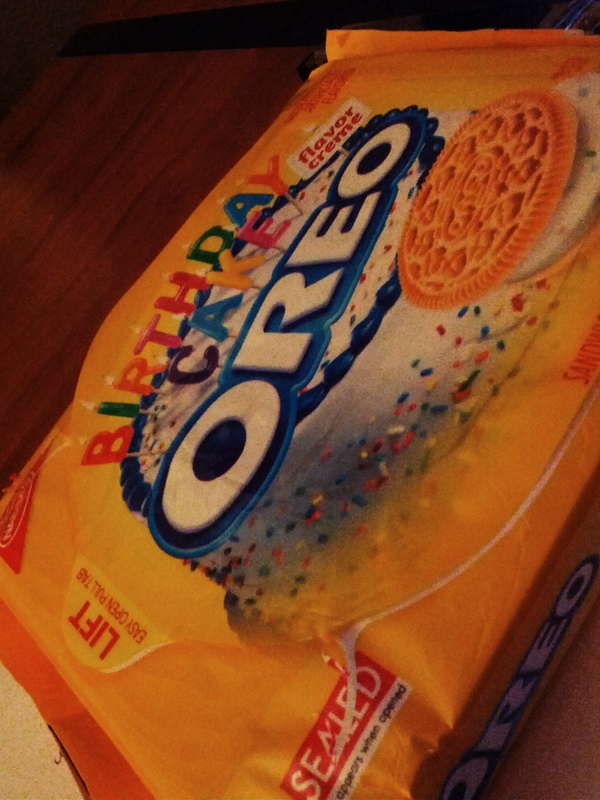 “No beer this time?” she asked the man carrying a gallon of milk and a package of Birthday Cake Oreos. That man, of course, was me. And she was the security associate at HEB, whose ear gauges were roughly the same size as the pennies I was fumbling with in my pocket. We had always exchanged knowing glances as I made my six to eight weekly trips to the grocery store across the street from my apartment and I was obtusely aware that she noted my comings and goings. I’m sure it’s impossible not to give someone a once-over as they pass by, especially since her job is to make sure no one shoplifts, so she has seen me shuttle back and forth — sometimes twice in one day — usually with beer tucked under my arm. I stepped over to make idle conversation about running out of milk and cookies and happened upon her nametag. Now she’s no longer anonymous and neither am I. The inventory she’ll take of my every purchase will grow in detail now that I have stepped out from behind the curtain of anonymity. We know each other’s secrets now.